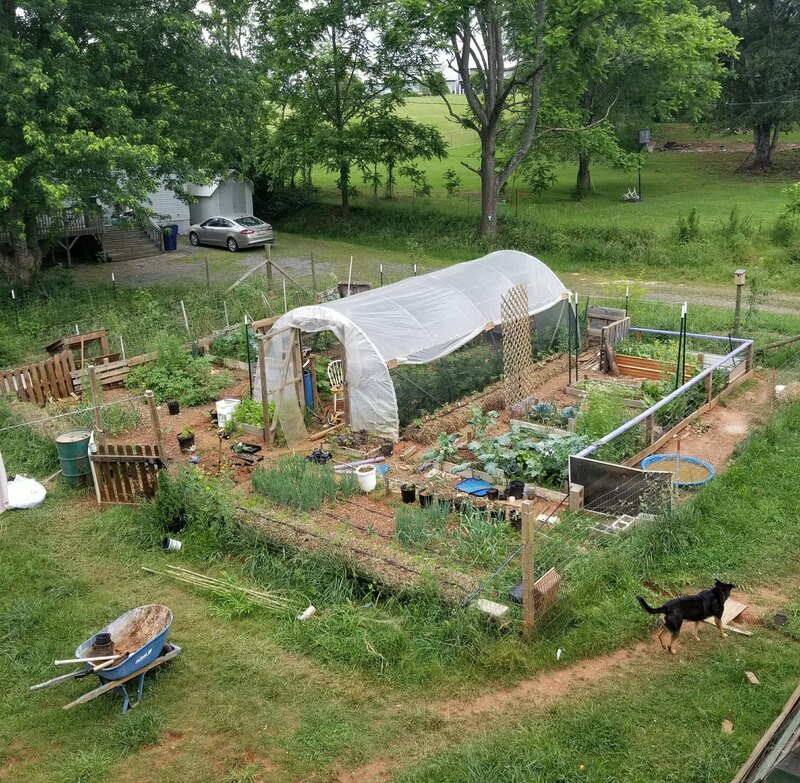 Thanks for our 2017-2018 AmeriCorps Service Member, Katie Schroeder, Organic Growers School was able to offer a new series of Homestead Tours showcasing how home-growers in Western North Carolina (WNC) are transforming their land into thriving, productive, and resilient ecosystems. Our goal was to inspire folks to embark on their own homesteading journey by providing an opportunity to tour a working homestead. 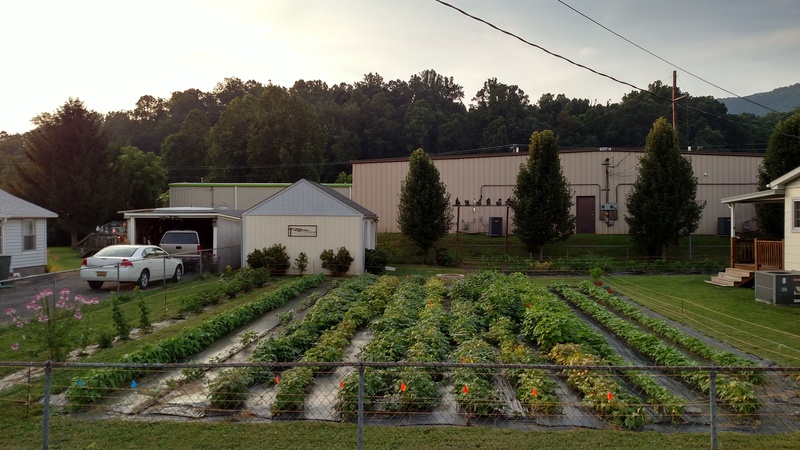 Further, we also hope to keep expanding the supportive network of growers in WNC. Due to funding cuts to AmeriCorps Project Conserve, we’re not able to continue with Homestead Tours in the future. Attendance limited to 18 people. Leon Birstein has been growing for more than 20 years on Full Circle Family Farm. 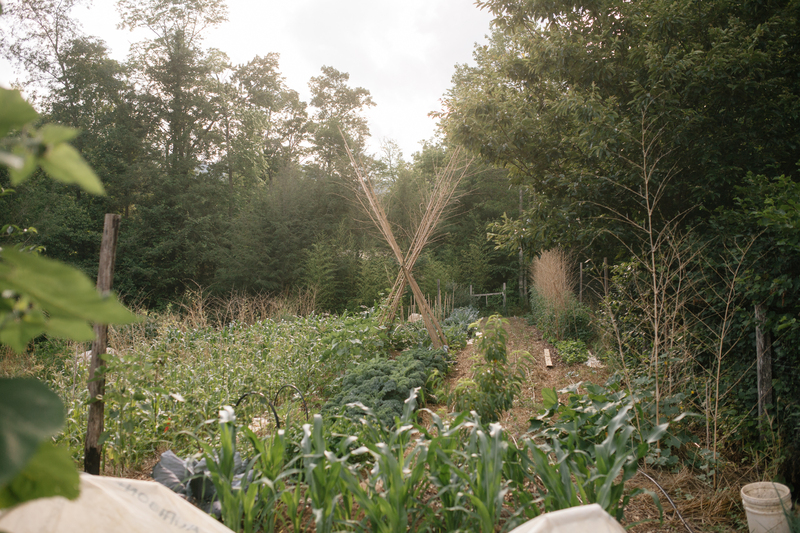 Located on 20 acres near Black Mountain, NC, the farmstead features high tunnels, extensive cover-cropping, large-scale composting systems, grey water ponds, and other non-intensive and creative methods. Leon also produces shitake mushrooms, baby ginger, turmeric, sweet potatoes, and brassicas for market sale, and his home and garden function entirely via off-grid power. 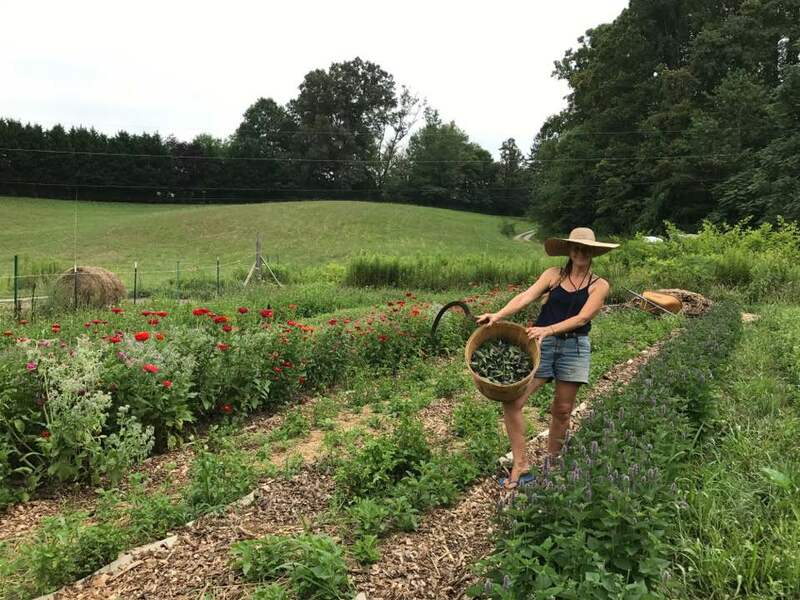 Kelly Lockamy owns Cedar Spring Farm in West Asheville where she grows a variety of medicinal herbs and perennial vegetables, cultivates mushrooms, raises chickens, keeps bees, and is experimenting with flower production. Kelly uses permaculture design principles in her gardens and spring-fed pond, and her home features a solar shower and indoor composting toilet. Kelly has also hosted WWOOF interns for the last three years, and she welcomes AirBnB guests to stay in a renovated apartment adjacent to her home. 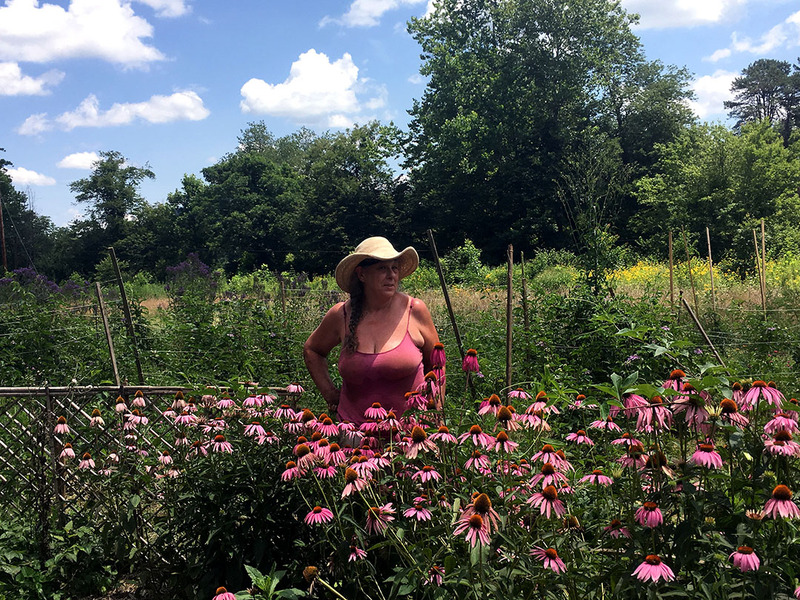 Lorri Bura is a co-owner of the USDA Organic-certified farm Green Heart Gardens, a member of the Appalachian Beginning Forest Farming Coalition, and an educator and host to WWOOF interns and homeless veterans. With 20 acres of land, Lorri is venturing into woodland farming and continuously expanding the number of crops she grows each season. The majority of work at Green Heart Gardens is done by hand, and Lorri sources most of her fertilizer, mulch, and water on the property. Her farm “apothecary” is a center for healing and education, and her medicinal herbs can be found in stores around Asheville. Mark Dempsey is the Farm Services Coordinator with the Carolina Farm Stewardship Alliance, as well as an avid grain grower, equipment builder, and research enthusiast. On his property in Swannanoa, Mark experiments with a variety of cover-crop grains using no-till farming systems and modest equipment. Mark will explain the ins and outs of growing grain crops and demonstrate techniques for processing grains for eating and storing. Chris Smith, a seed saver with Sow True Seed, is exploring myriad food production systems on two-thirds of an acre in Leicester, including aquaculture, raised bed gardens, hoop houses, mushrooms, poultry, seed saving. Bit by bit in their spare time, Chris and his wife transformed their bare property into a vibrant and productive homestead in just two-and-a-half years. Chris’ seed-saving is an integral component of his perennial-based garden which offers many ecological benefits and greater climate resiliency. If you have any questions about this program, please contact Katie, Program and Outreach Coordinator, at outreach@organicgrowersschool.org. Katie Schroeder is the 2017-2018 Home Grower Program and Outreach Coordinator and AmeriCorps service member at Organic Growers School. Katie graduated from the University of Washington in Seattle, where she studied Public Health and Nutrition. During her time at school, Katie also developed interests in the environmental health and social justice implications of the food system, and she spent time volunteering on urban farms and engaging in food justice activism. Now in Western NC, Katie hopes to learn all about the region’s vibrant local food movement, and she’s excited to serve with OGS to increase the number of home growers and farmers here!